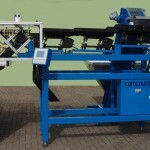 Comcount can design, produce and develop complete bespoke systems for applications where the company’s standard range of Counting, Weighing or Packaging equipment is not suitable. 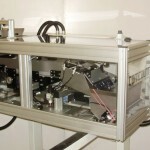 These systems are generally employed where the customer’s products have particular handling characteristics or packaging requirements and have often been developed to suit a specific type of component. Examples of bespoke solutions that have been produced previously are shown below. Please contact us for more details of these products or to discuss your specific applications. 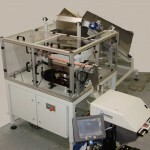 Bowl Feeder based counting machine specifically designed to work in conjunction with an Autobag Bagger/Printer to feed, orientate and count oral swabs into bags of 5 and 10. 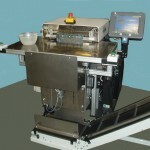 Automatic Linear Weighing machine with custom-built feed system designed to work in conjunction with an Automatic Bagging machine to weigh/count paint balls into bags. Feeding and Counting system with an Autobag Bagger designed to pack promotional pens into counts of 25 and 50 orientated in the bag to give a good pack presentation. 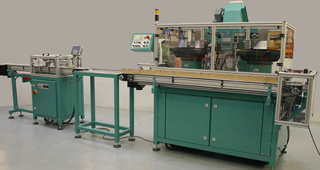 Three Lane Linear Counting Machine designed to work with an automatic bagging machine to pack plastic pipe fittings which are too large for a Bowl Feeder based system. 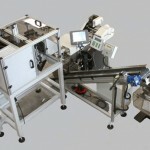 Special adaptation to Autobag Bagger to enable efficient packing of individual plastic bowls largely eliminating air prior to bagging. Tooling for three bowl sizes. 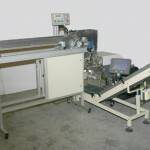 Inclined conveyor system designed to accept bagged components from a Counting/Bagging system and feed them into a bulk outer bag in counts of 5 or 10.